UNHCR, the UN Refugee Agency, in partnership with Immigration, Refugees and Citizenship Canada (IRCC), is inviting written contributions to a Global Virtual Summit on how digital identity can provide greater opportunities for refugees and asylum-seekers, allowing them to contribute more to their host communities. The Summit will include three thematic virtual events that will take place throughout May, followed by a final event which will take place in Canada in June. UNHCR and IRCC are seeking to catalyse dialogue with a broad group of stakeholders to envision what a “good” digital identity for refugees should look like, as well as to make recommendations that will contribute to realizing the goals of the Global Compact on Refugees. The goal of the summit is to come up with innovative and practical recommendations on digital identity that will help refugees access greater opportunities and contribute more to their host communities. Recommendations should focus on the following topics: refugee registration and identity management (including biometrics), data protection and privacy, the inclusion of refugees in States’ systems, livelihood opportunities that can be created by closing the technology gap, resettlement and other solutions. They believe that digital identity can be one of the new pathways by which refugees can access greater opportunities and contribute more to their host communities. Digital Identity can for example, allow the forcibly displaced to prove their identity to register SIM cards in their own names, access financial services (such as opening a mobile money account), to undertake university courses online which might otherwise be inaccessible and to be awarded with recognised qualifications in their own name. 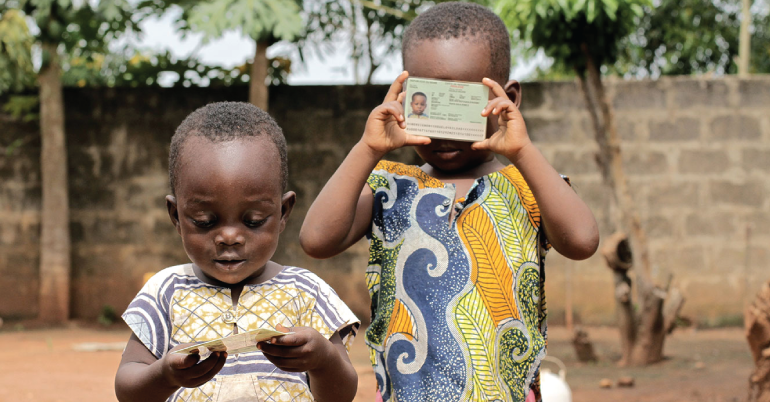 At the same time, in many countries, the ongoing digitalisation of States’ civil registration and vital statistics systems and the establishment of integrated population registries, as well as the increasing use of digital platforms by the private sector and humanitarian agencies to facilitate access to services, makes it essential that refugees have a widely recognised digital identity that facilitates their digital inclusion. Increased civil registration coverage can contribute to the prevention of statelessness and facilitate durable solutions for refugees. The organisers will sponsor the authors of the most interesting, innovative and inspiring papers to attend the final 2-day workshop in Canada. humanitarian and development actors to contribute their experiences, perspectives and expertise on this fast-developing area and help them to shape the contours of a “good” refugee identity ecosystem. Apply onine through the given link.